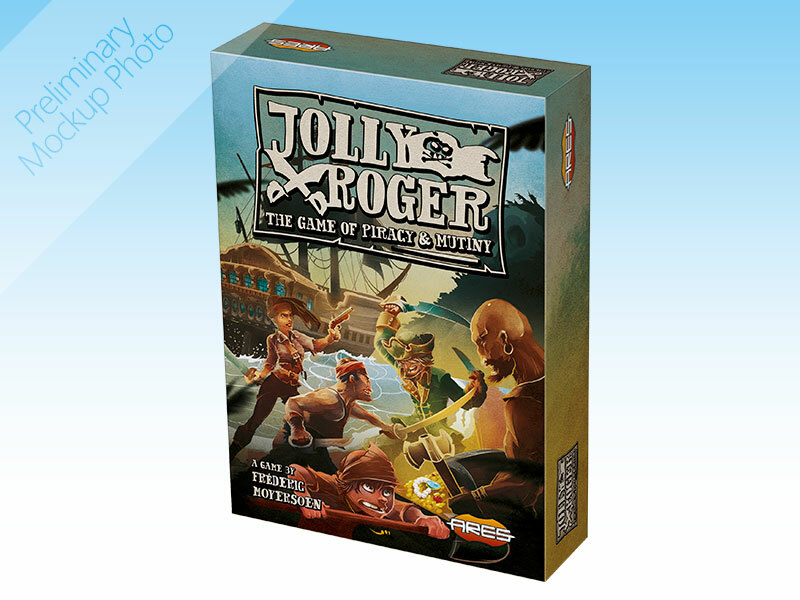 Coming in September, Jolly Roger - The Game of Piracy and Mutiny is the first card game to be published by Ares. 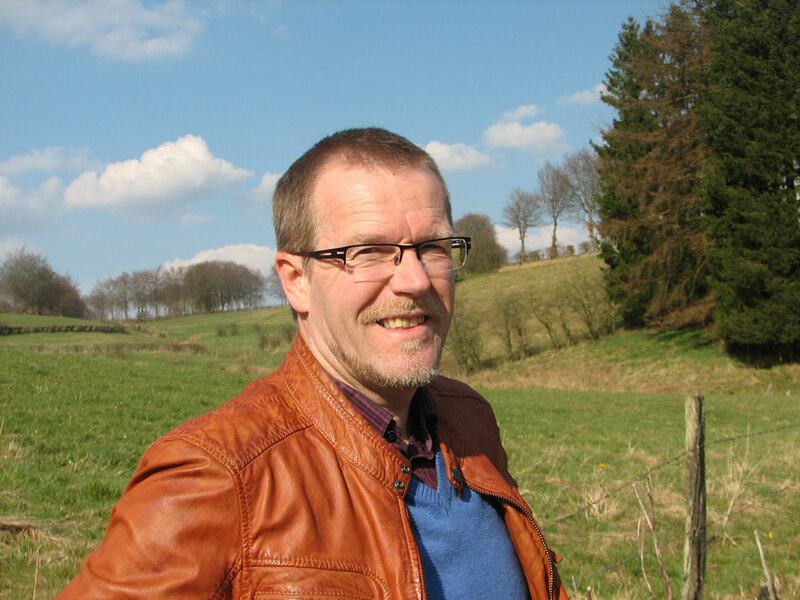 It’s also our first project with the game designer Fréderic Moyersoen, already known by gamers for great games like Saboteur and Nuns on the Run. The 54 year old Belgian graduated as a movie director, and was employed in different companies as salesman or audio-visual executive, before he started working as a game designer in 1998. His first published game was Gouda! Gouda!, in 2002, after winning the 2001 Concours International de Créateurs de Jeux de Société. Since then, he has published more than 25 games – Saboteur (2004) is the most successful, with over 1,000,000 copies sold worldwide. 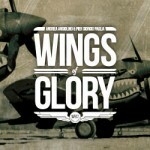 While waiting for Jolly Roger, it’s a good time to get to know the designer behind the game. The game designer Fréderic Moyersoen. Ares Games (Ares): When did you start playing board games? 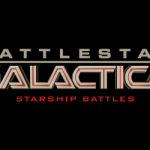 What were your first favorite games in the beginning? Ares: How did you start to design games? At which point did you decide to move from player to game author? FM: When I was a teenager, I already tried to design my own games. That was easier than waiting on a gift for Christmas or for my birthday. The main problem at that time was finding players for my creations. Although I had 5 brothers, they weren’t really interested in playing games with plenty of bugs and ever-changing rules. After explaining the rules for half an hour, the volunteers mostly preferred playing football. Later, I continued imagining house rules for existing games. When I was about forty years, I was rather unlucky in my job. 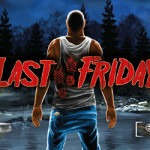 My interest in designing games grew, but I did not have enough spare time to dedicate to it. Finally, I got fired from my well-paying job and I started a career switch. 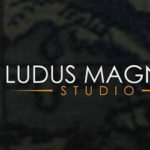 Ares: Are you a full time game designer, or do you create your games as a hobby/part time job? FM: My dream was to become a full-time designer, but that was easier said than done. As long as you don’t have a published game, you don’t have any revenue. Nevertheless, despite the advice of family and friends, I stuck to my goal and didn’t search for a regular job anymore. It took 4 years to understand how the game business works and to get my first published game, namely Gouda! Gouda!. In fact, the main trigger was winning a design contest. I immediately got a contract proposal from a French publisher. Two years later, Saboteur was launched and the success of that game opened a lot of doors during the next 10 years. 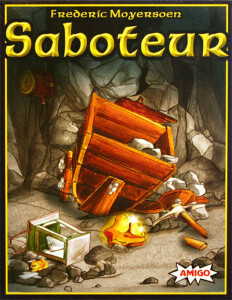 Saboteur: Moyersoen's most successful game . Ares: What are the major references in your work – literature, movies, games? M: All sources are good to find inspiration. Reading books is very interesting to find the right approach for developing a theme. Using the available info on the Internet helps a lot, too. Playing games is essential to learn new game mechanics; to find out which game mechanics are fun and interesting. Ares: How about your creative process; do you use to start with a theme or with the mechanics? FM: I always start with a theme and then I search for a suitable game mechanic. In this way, I’m sure that the game mechanic perfectly fits with the theme. Sometimes, publishers want to change the theme, but abandon the idea when they notice that it’s too difficult. Designing a nice game mechanic first and putting a theme on it, frequently results in rather dry & abstract games, which I don’t want to design. Ares: How often do you play games? What kind of games are your favorite as a player? FM: You can’t design games if you don’t like playing games, so I play quite often. Although I must play-test my own creations a lot, I also try to play other games in order to stay informed what kind of new games are published. 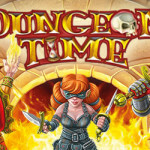 My favorite games are surely games with a strong theme where you, as a player, are participating in an adventure. 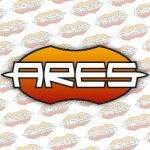 Ares: Do you enjoy playing your own games, after they are published? FM: When a game is published, I like to play it again to show it to new players and to get feedback from them. Especially, if the game is nice and well-published, there is no reason why you should get bored of playing it. 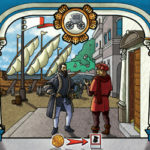 Jolly Roger, the first card game published by Ares, coming soon. FM: It’s difficult to have just one favorite, because like a parent you love all your kids. 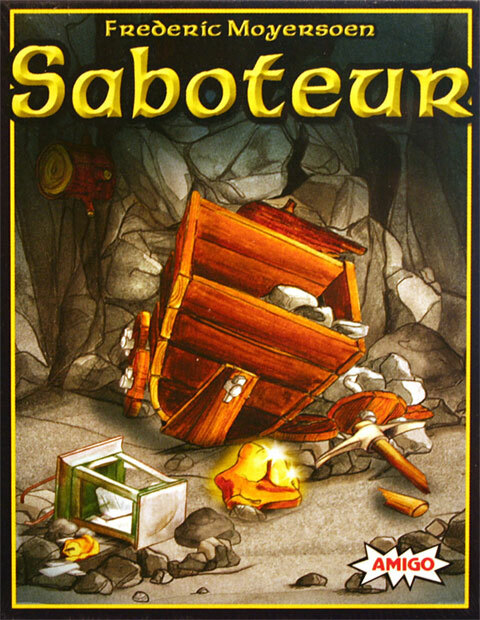 Let’s say that I’m very proud of Saboteur, which is a gigantic success and Nicht zu Fassen, alias Hide the kids!, which is a very funny children’s game. I also have great expectations for Jolly Roger, which is definitively one of the games I love playing again. 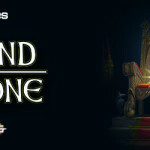 Ares: Are you working on one or more new games now? Can you talk about this project/these projects? FM: Of course, I’m working on a new project, but I’m not used to communicating about it. It’s still possible that I will abandon the current project, if I’m not fully satisfied or the game remains unpublished. Besides, the time between designing a game and launching it on the market is so long, frequently several years, that writing anything about it now, makes little sense. To raise the tip of the veil, the working title of the current project is “Siege.” In the mean-time, there are a few games in preparation by publishers for 2015 and 2016. They will communicate, for time being. FM: My personal advice for new game designers is to learn from the experience of others and not to give up too fast. Players, game designers, and publishers, all these people, like to share their views and experience. They can help you a lot, if you are open-minded. Beyond this, it takes time to know what publishers are expecting. It takes time to fine-tune the game mechanics and it takes time for you, as a game designer, to become successful. Of course, there is some luck involved, but like a good game, it’s always a mix of luck and tactics. Ares thanks Fréderic for the interview. To follow his work, check out his blog. Stay tuned for the Jolly Roger Designer's Notes!